Home Safety - Did your home health physical therapist miss anything? Double checking could save your life. don't be home without it. When it comes to a home safety, your physical therapist should be thorough in all areas of your home. Gravity lurks where we least expect it pulling us off guard in the smallest way - sometimes with a life-changing crash. Gravity works against us as we get older pulling us closer and closer to a fall. Whether a fall risk, fire safety, or equipment needs for greater functional independence, we hope you'll discover some simple, yet profound tips here. Experience(since 1993)from a physical therapist in hundreds of homes can't be wrong! Falls change lives. Home safety does to! It's that sad. It's that simple. It's that easy to fix. People die from falls. Quality of life can plummet. Lives can shorten and nursing home stays can escalate. Why? Gravity will never get old. One out of three adults age 65 and older will topple this year. Some will trip over something, some will slip on the ice, some will get dizzy and/or lose their balance. Endless safety hazards lurk where you least expect them. The good news is that we have many years to live fall free before we hit 65! The bad news is that over 433,000 of the close to 2 million people that will fall this year will be admitted to the hospital for injuries from these falls. Some will die. Don't let that be you! While men are more likely to die from a fall, women are twice as likely to take home some kind of fracture from the incident. However, regardless of gender, you are 3x as likely to fall within the first 2 days of changing a medication. We hope to cover almost every room in your house, including your driveway, yard and sidewalk with experienced, unmatched details for changes that work, and resources to get you the help you need. Let's tour through your home and count the ways that this life changing event can be avoided! Seniors aren't just high school grads anymore! They are the golden years! Let's keep them that way! Start looking at your home today. Don't delay. Don't let it be like the one day you don't buckle your seat belt. Your home safety awareness checklist begins with these home safety topics. 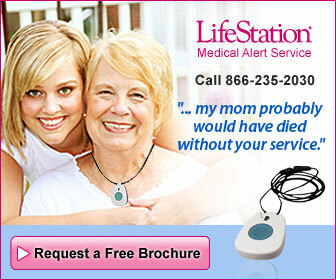 Home Safety For The Elderly Your Quality of Life Begins Here!